NEW ! FISCHER, RC7 SKATE MY STYLE, WOMEN 41 US 8.5, SUPER DEAL !!! NEW ! FISCHER, XC PRO MY STYLE, WOMEN 41 US 8.5, SUPER DEAL !!! 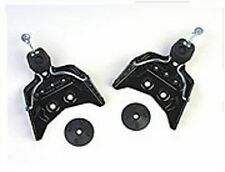 Rottefella NNN bindings. Length: 203cm. 3 out of 5, Great condition. These skis have been used but were very well maintained and have plenty of life left. The bases look good and were storage waxed. Model: Alea. Bindings: Rossignol NNN. 3.5 out of 5, Excellent condition. Bases, bindings and rest of ski in great shape. Classic Cross Country Skis. We serve as an outlet for the cycling and outdoor community to turn over their no longer needed gear. Binding Type: Salomon SNS Propulse. Length: 201cm. 3 out of 5. These skis have been used but well cared for. Ski Type: Nordic classic ski. Local Pickup. 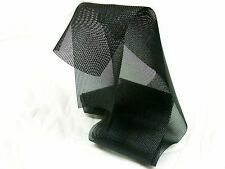 This is a waxless,,, fishscale bottom ski. just go no waxing. armpit to floor. pluspole sizes. WE CAN FIT YOU., WithAfla X adventure boot. 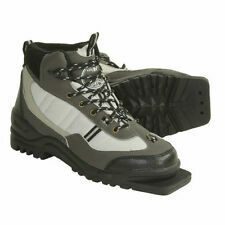 THIS IS A LEATHER BOOT WITH INSULATION, COMFY AND DURABLE. Hello you are looking at a pair ofALICO TOURING 3 PIN CROSS COUNTRY SKI BOOTS. Sturdy leather boot with 3 pin Vibram sole. I can't change stated price or mark as gift. Salomon X adventure model bindings. armpit to floor. skitruck. (64-55-59)197 CM SKI. WE CAN FIT YOU., With Afla X adventure boot. THIS IS A LEATHER BOOT WITH INSULATION. Also pole sizes, if not sure send armpit to floor. KARHU PYXIS. The aspen / birth wood core, along with Karhu's 4D fiberglass cap construction make for a lively feeling ski on the downhill ride. XCD Camber and a Half - Perfect camber balance between downhill performance and touring efficiency. Hello you are looking at a pair ofALPINA 138 NNN CROSS COUNTRY SKI BOOTS. Thinsulate insulation with fuzzy forfoot lining. Inner lace up with velcro over lace flap, synthetic leather exterior as well. Fischer RC Combi cross country ski boot NNN. These are used, in GREAT shape. looks to be very minimal wear! Length: 207cm. Ski Type: Cross country. Item Condition: 4 out of 5. Skis are in ready to race condition. We serve as an outlet for the cycling and outdoor community to turn over their no longer needed gear. KARHU PAVO. SALOMON SNS XA bindings. Length - 175cm. Backcountry Touring Cross-Country XC skis. These used skis and bindings are in very good condition. The bases are in very good shape. About Matterhood The Matterhood is located in the great Rocky Mountains. 191cm Length. Atomic Classic NNN Bindings. These skis have been used but they are still in good condition. The bindings show significant signs of use but are are still in good working condition. There is plenty of life left in these skis! Cross country skiing is a great workout that also provides a thrilling experience. From a beginner just learning the basics to the most advanced competitive or backcountry skier, you'll find a wide range of cross-country skis, ski boots, bindings, and poles to fit your performance level. Whether you are partial to Fischer, Solomon, Rossignol, or others, you'll find lots of options to get you out on the trail or into the backcountry. 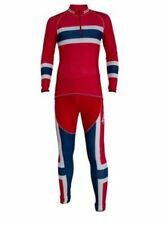 What gear is needed to get started on cross-country skiing? Touring skis are a great choice for beginners; they are long and narrow and do well on groomed trails. They should be taller than you are, but the exact length depends on your weight. A good rule of thumb is to add 25 centimeters to your height in centimeters; round up a bit if you are heavier than the average person your height. Choose touring cross country ski boots that are comfortable enough for you to move your foot around a bit so you can get a good kick, but that is rigid enough to give you good support on turns and down hills. Be sure your boot and binding type match! For beginners, poles give you stability and the ability to push off well. Your poles should measure somewhere between your armpits and the tops of your shoulders. How do you ensure proper binding/boot match? 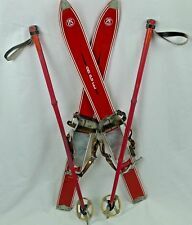 There are three types of ski bindings--New Nordic Norm (NNN), NIS (Nordic Integrated System), and Salomon Nordic System (SNS)--and all perform well for a variety of skiing levels. New Nordic Norm bindings have two rails along the bottom and the boots have corresponding grooves to match. 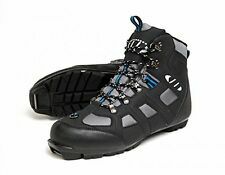 NIS bindings are completely compatible with New Nordic Norm boots but attach in a different way. Salomon Nordic System bindings have one rail and the boots have one groove. The important thing is to be sure to match your boot type to your binding type since Salomon Nordic System bindings must have Salomon Nordic System boots to fit. What are the different types of cross-country skis? Touring cross-country skis: These are built for groomed trails; they are lightweight, long, and narrow cross-country skis. Racing or performance cross-country skis: These are similar to touring skis in that they are used on pre-groomed trails, but they are built for faster, more aggressive skiing and have a stiffer flex. Those who plan to skate ski should look for this type of cross-country ski. Metal edged touring cross country skis: These are built to be used on steeper grades and out-of-track. 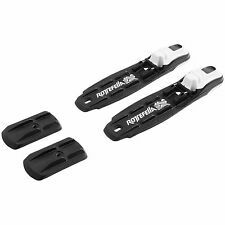 They are shorter and wider to help them "float" better in the deeper snow of the backcountry. What type of wax do skis need? Waxable cross-country skis need two types of wax: kick- or grip-wax and glide-wax. 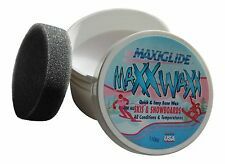 Kick-wax provides the "grip" when you push off, while glide-wax allows you to glide smoothly after your kick. Do waxless skis need wax? The short answer is no, but it can help to improve performance. Waxless skis benefit from using glide-wax to promote a smoother and longer glide. Glide-wax also keeps your gear from icing up in less-than-favourable conditions.